After the Battle of Endor, The Empire picks up what's left and forms The First Order and continues their mission to wipe out the Rebel Alliance, now known as The Resistance. - NEW Audio Commentary with J.J. Abrams – Enter the mind of visionary director J.J. Abrams as he reveals the creative and complex choices made while developing the first film in the new Star Wars trilogy. - Foley: A Sonic Tale – Foley artists, consisting of old pros and new talent, unite to bring the world of Star Wars: The Force Awakens alive through the matching of sound to action. - Sounds of the Resistance – Hear how the epic sound design of Star Wars: The Force Awakens moves the Star Wars legacy forward. - Deleted Scenes – View never-before-shared scenes that didn't make the film's final cut. - Dressing the Galaxy – Costume designer Michael Kaplan reveals how the costumes of the original Star Wars movies were re-envisioned for a new generation. - The Scavenger and the Stormtrooper: A Conversation with Daisy Ridley and John Boyega – The two new stars share the thrill of working together on the adventure of a lifetime and becoming part of the Star Wars legacy. 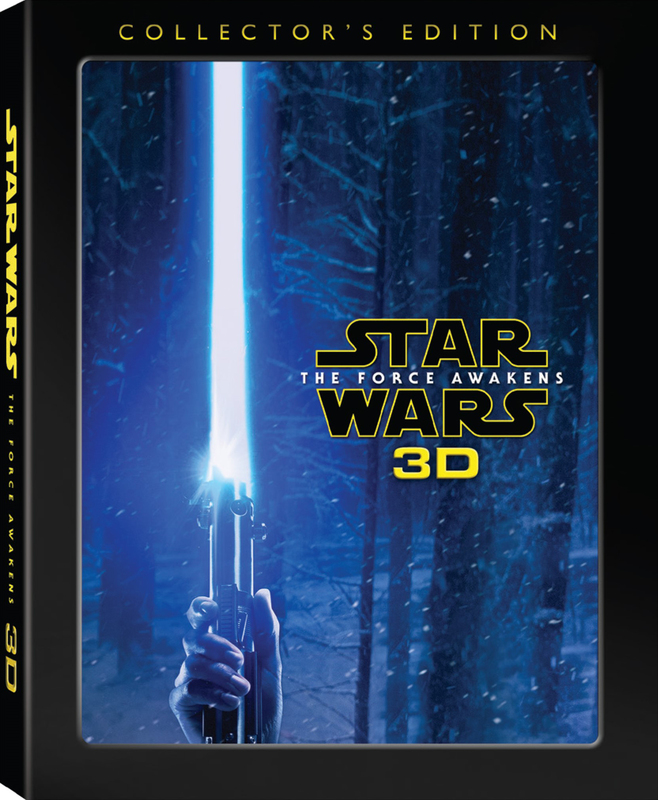 - Inside the Armory – Take a fascinating tour through the design and creation of the weaponry in Star Wars: The Force Awakens. 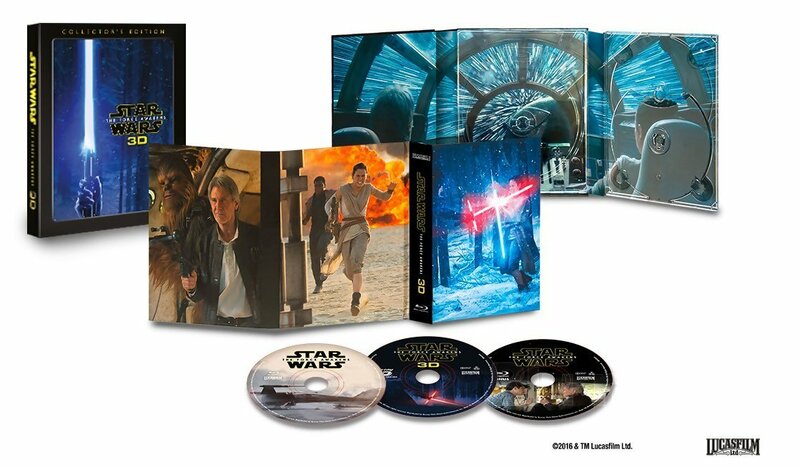 - Classic Bonus Features – These offerings from the April release of Star Wars: The Force Awakens include the complete story behind the making of the film, an unforgettable cast table read, insights from legendary composer John Williams, and deleted scenes, as well as features that dig deeper into the creation of new characters such as BB-8, the design of the climactic lightsaber battle between Rey and Kylo Ren, the film's remarkable digital artistry, and the Star Wars: Force for Change global aid initiative.